Tuesday 23rd / Thursday 25th April – Experiencing God course. 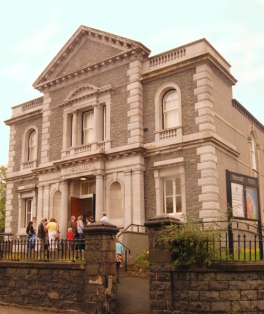 Tuesday 14th May – Monthly prayer meeting in the chapel, 7:30pm. See our news page for more. We are a body of Christian believers meeting in Bangor in North Wales. A lively, growing church, we have two services most Sundays as well as a range of midweek activities. We have a community centre at the back of our building, which is at the centre of our interaction with our local community. Our members come not just from Bangor but from northern Gwynedd andthe isle of Anglesey, and we have a good relationship with the other churches in our area. You will be made very welcome. If you have trouble finding anything on this website, you may find our site map useful.